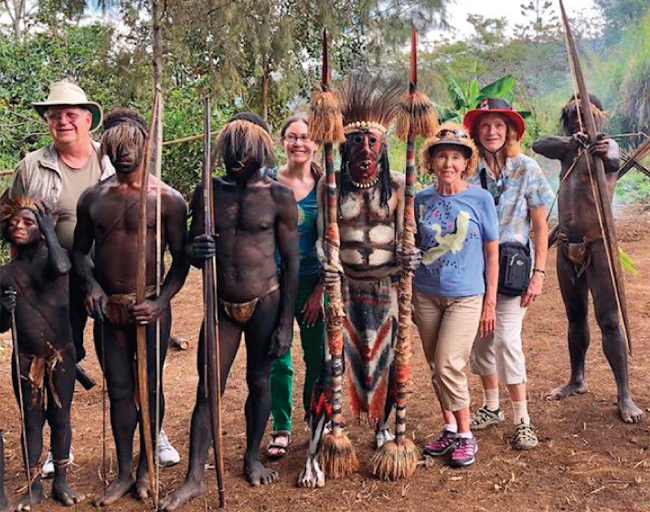 TCC members from the St. Louis, Northern California, and Little Rock chapters pose with Loaloa dancers in Papua New Guinea. Left to right (among friends): Charles Merkel, Wendy Arbeit, Wanda Ross, and Linda Bell. Missing from the picture is Bonnie Burns from Kansas City.